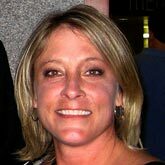 Mandy brings over 20 years experience in retail sales management. She understands that combining proven retail strategies with innovation is the key to driving profitable sales. She oversees account management, retail sales analysis, brand awareness, visual merchandising and sales training. Creativity, training, motivation, a great sense of humor and leadership top her list of strengths. Through sales analysis and on-site visits, Mandy is able to provide training and merchandising options to buyers and their staff to improve retail sales and boost profitability. Most recently, appropriate sales technique and visual merchandising training aided in the 15% volume growth of a major retailer in the Chicagoland area. Mandy lives in Chicago, Illinois with her husband Ken and crazy cat, Alley. She loves animals and dreams of traveling to Africa. In her free time, Mandy enjoys all sporting events, dining out with friends and reading a good book. She has a very quick wit and ultra dry sense of humor and will have you rolling in laughter anytime you work with her.